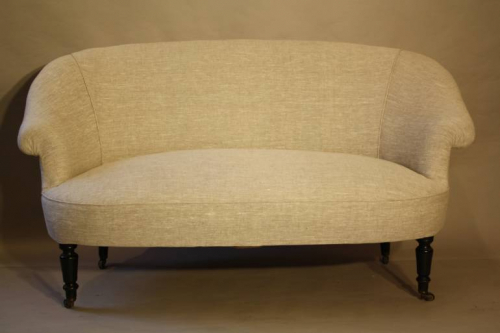 A classically shaped ballooned back sofa with turned and ebonised legs. French c1890 - Napoleon III. Elegant, curved and comfortable. Reupholstered in neutral linen. Seat height is 47cm.